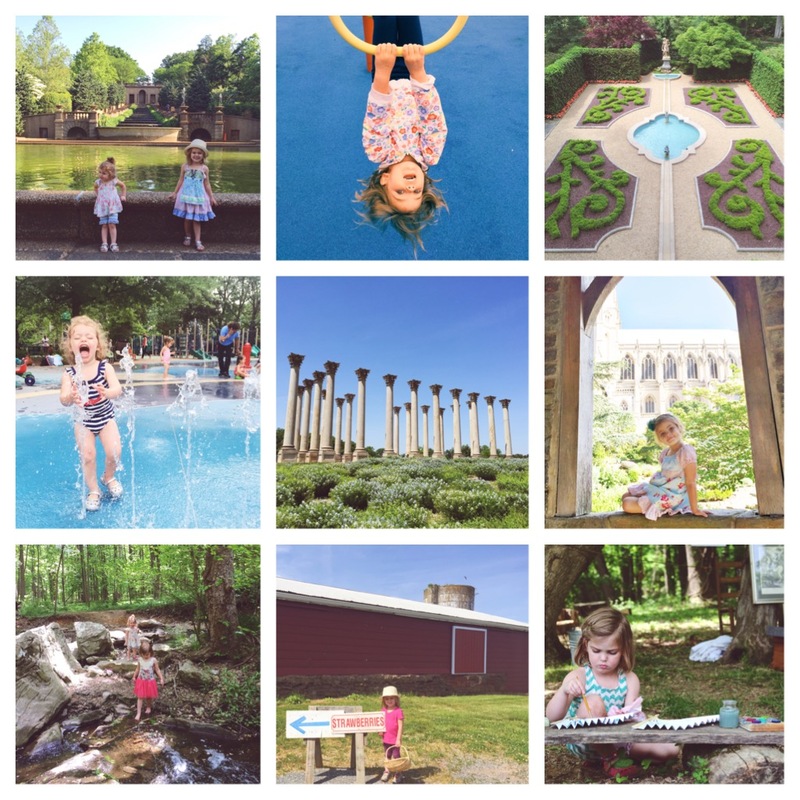 I had heard from several friends that Dutch Wonderland was the perfect place for little kids, so I wanted to make sure we experienced it this summer. 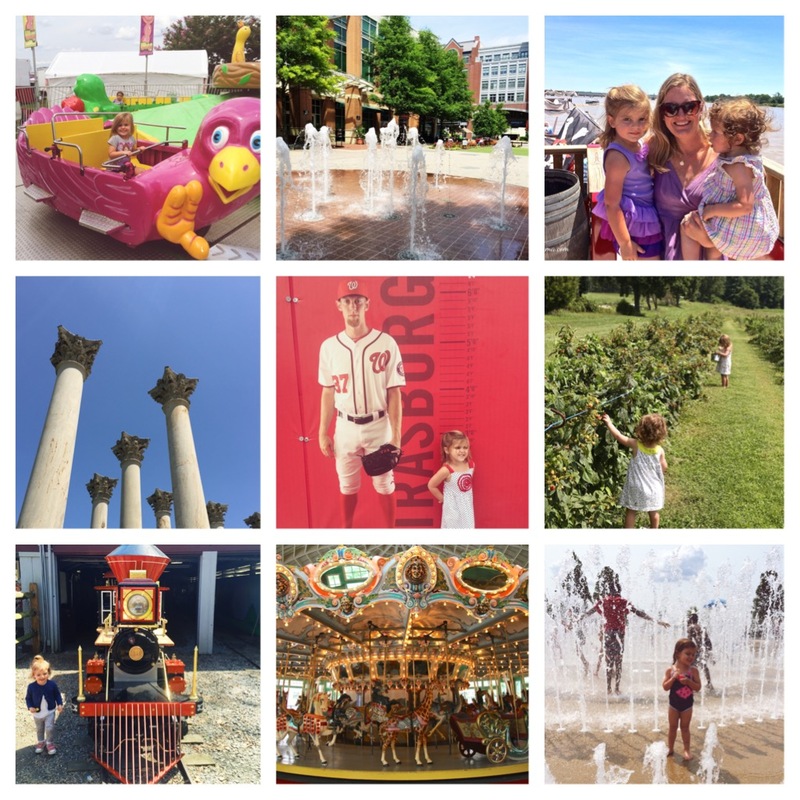 My family spent the day there earlier last week and had the best time! It exceeded my expectations in every way and I’m sure we will make a return visit next summer! 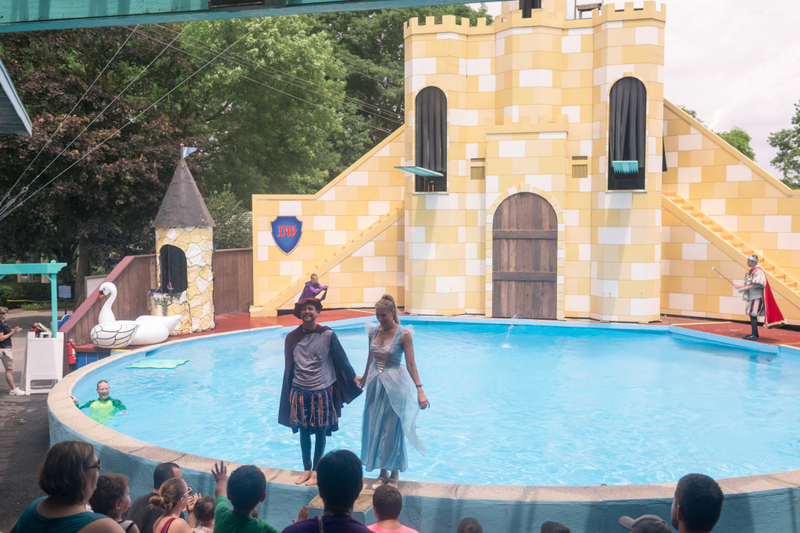 Dutch Wonderland is located in Lancaster, Pennsylvania about 2-2.5 hours from the DC area. We drove up in the morning and arrived when they opened at 10am and then drove home later that afternoon. Everything was very easy and convenient for an outing with little kids. 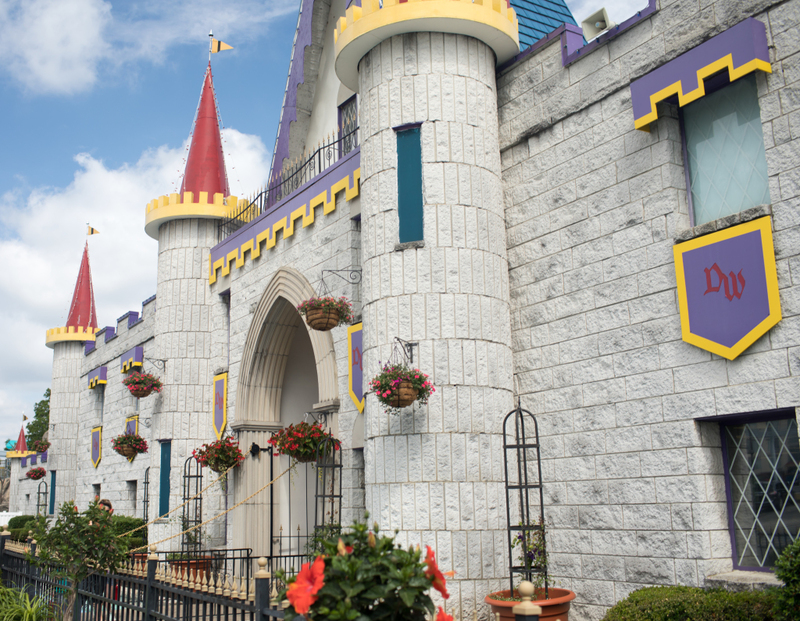 Dutch Wonderland has general parking for $5 or preferred parking for $15. We opted for the preferred, so we could park right in front just steps away from the entrance. 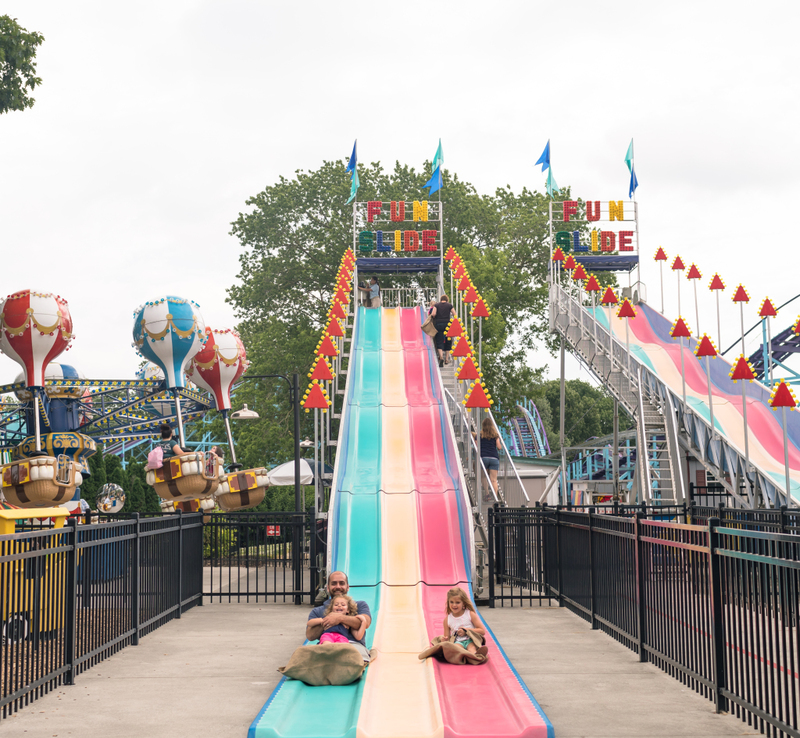 The quaint amusement park is surrounded by farmland where you can see cattle grazing the fields. They have 35 rides, shows, and an awesome splash park called Duke’s Lagoon. 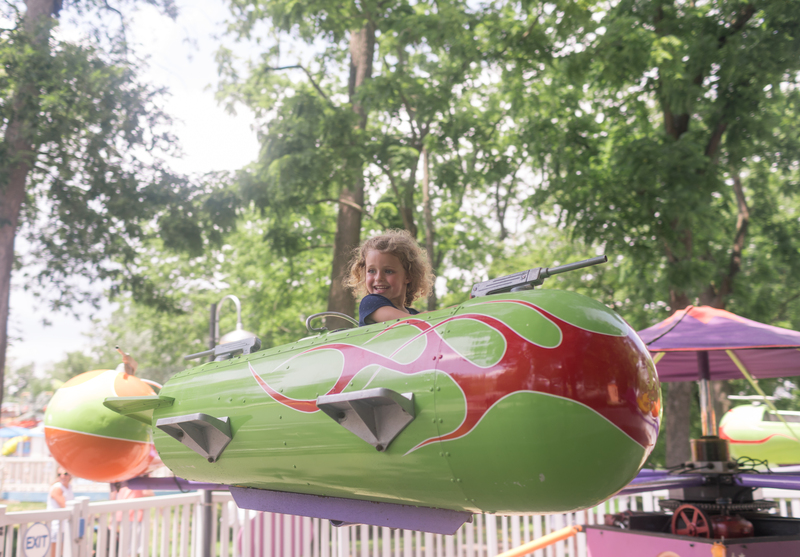 The rides are geared towards smaller children – my almost 4 year old and 6 year old could go on pretty much all the rides. 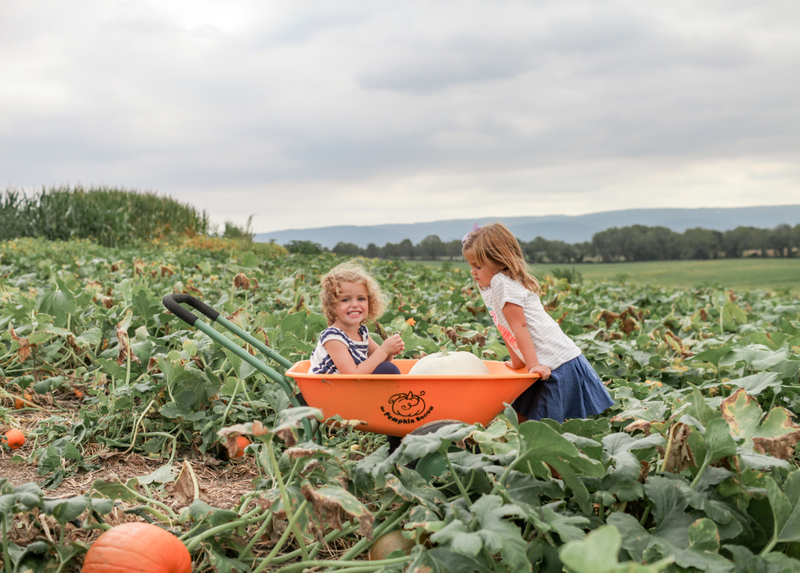 There are several rides that the whole family can enjoy together too. The park is incredibly clean (yes, even the bathrooms) and well-kept. All of the employees were so nice and helpful. 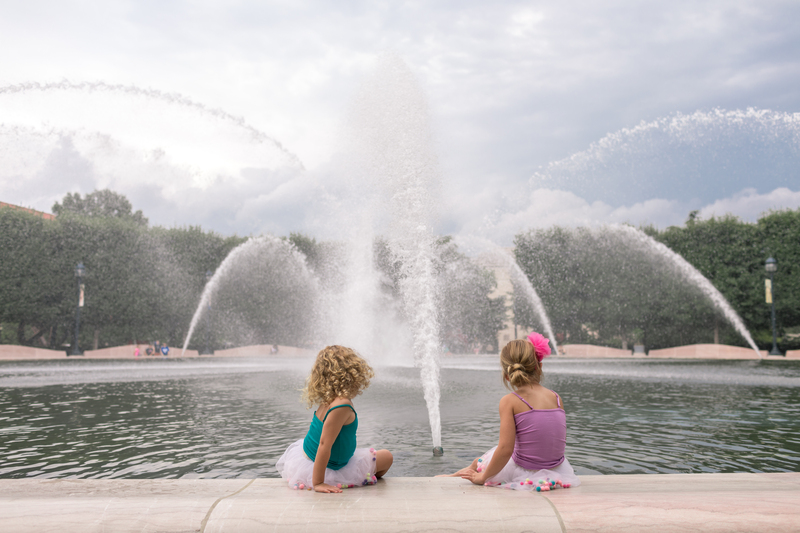 The park offers so much and all within a pretty small area – very walkable with small children in tow. 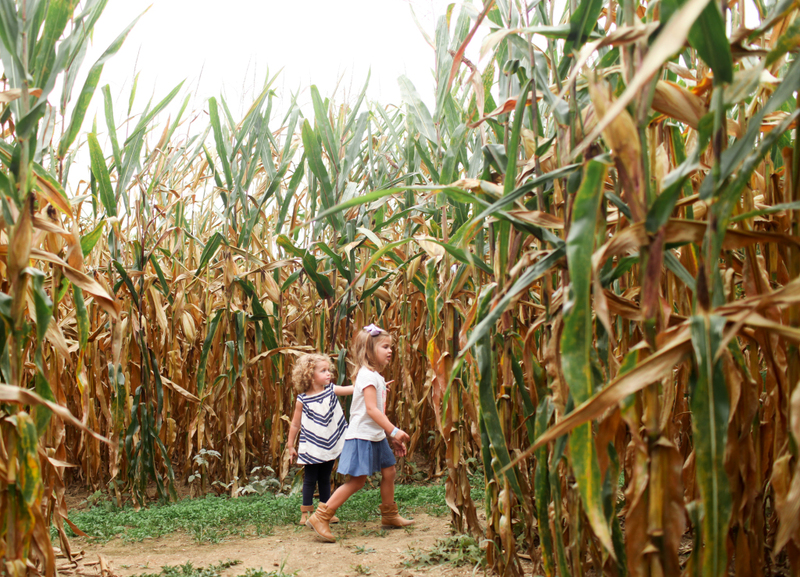 The park has charming Amish touches throughout, like the iconic giant pretzel that also makes for a good photo opp. My daughter loved playing in this horse and carriage! 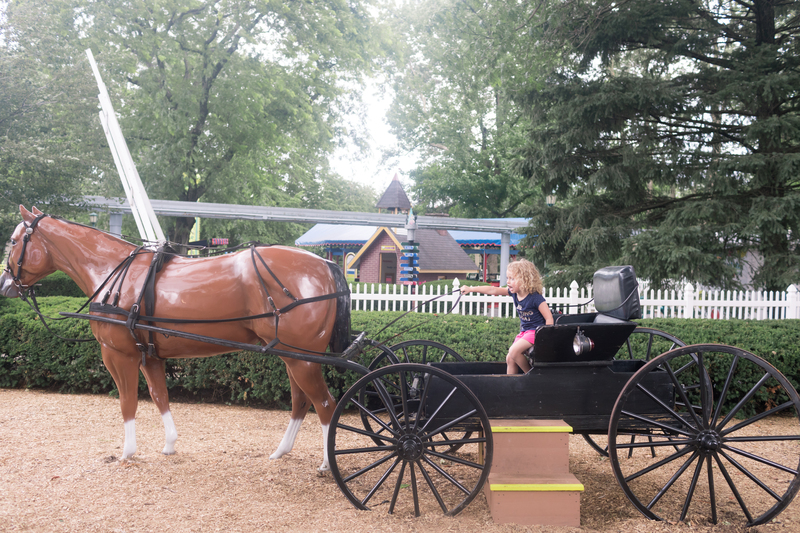 There is also a life-size cow replica that kids can “milk” and an animatronic display of Amish life. After we had gone on all the rides, watched a show, and had lunch we headed over to Duke’s Lagoon for some water fun! This area is also very clean and has lots of seating for parents surrounding the splash park. 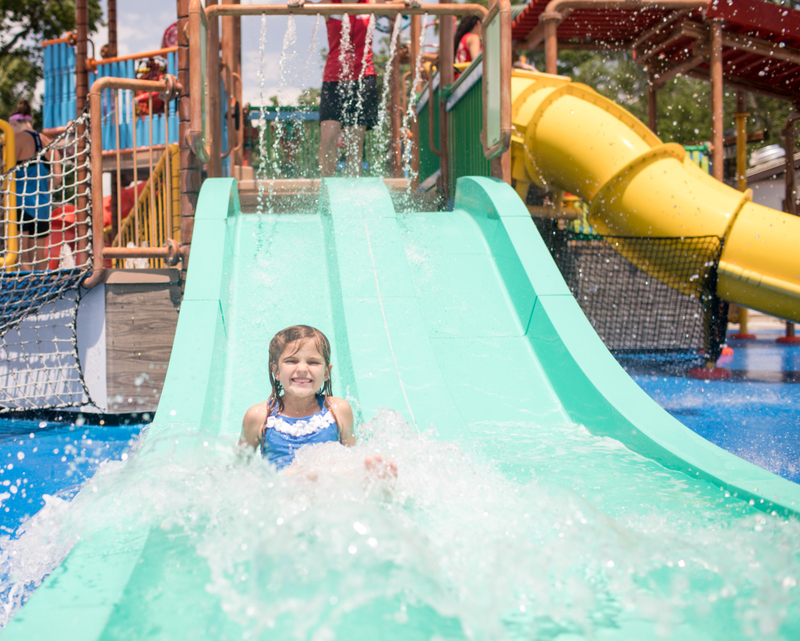 The kid-sized water slides are great for little ones. There are attentive life guards making sure the children wait their turn to go down the slides. Before leaving for the day, we stopped in the gift shop so Clara and Mae could each pick out a toy. 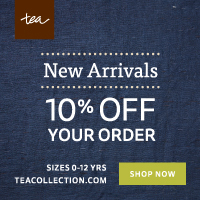 They have a great selection and I found that the items were not over priced. Dutch Wonderland was a great experience for our family! Add it to your summer bucket list for sure! Use code CapitolMommaSBlog17 to save $4 per ticket or click the link here. General admission is $41.99, 4-day advance tickets $38.99, 7-day advance tickets $35.99. All tickets include a preview pass – Enjoy the last three hours of the park the night before you visit for a full day – FREE! Preview after 3:00 pm when the Park closes at 6 pm. Preview after 5:30 pm when the Park closes at 8:30 pm. 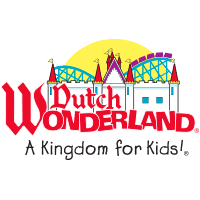 Dutch Wonderland + Discount Code! The countdown to summer break is on! 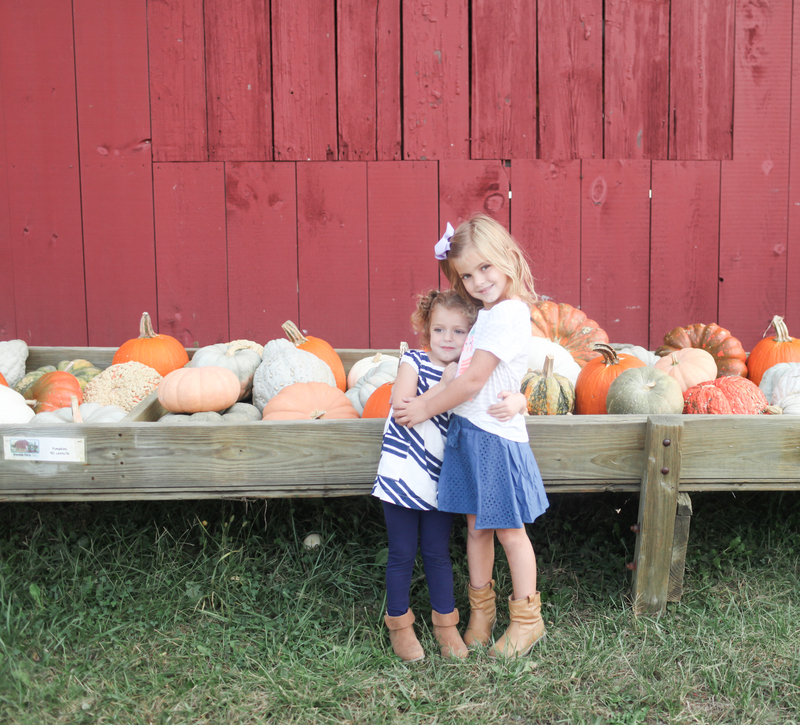 We just have one more week of school left and my girls are ready for some fun in the sun! 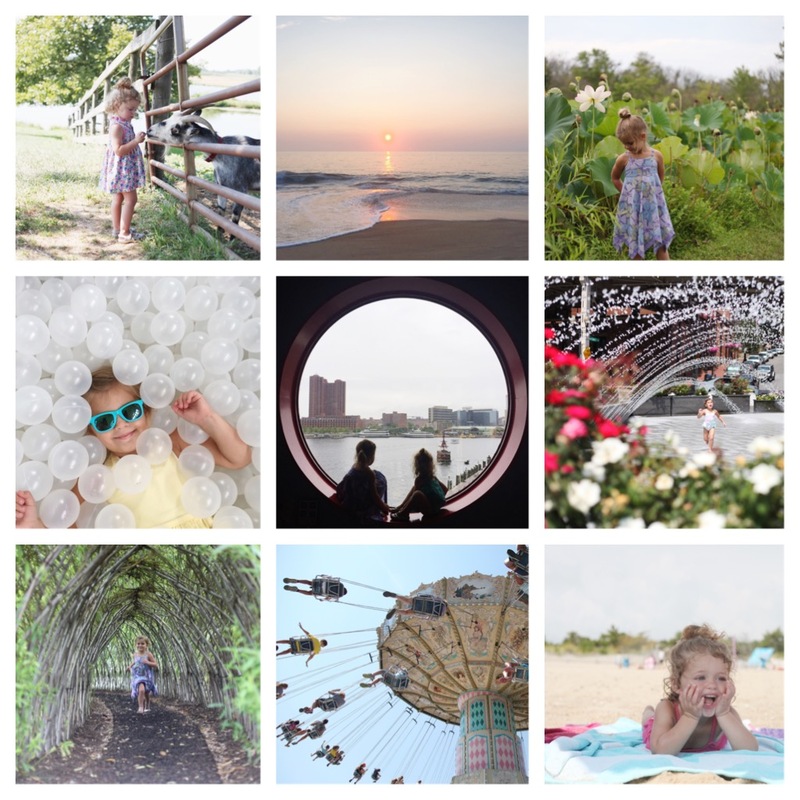 I’ve been planning lots of trips and local adventures so we can make the most of it. 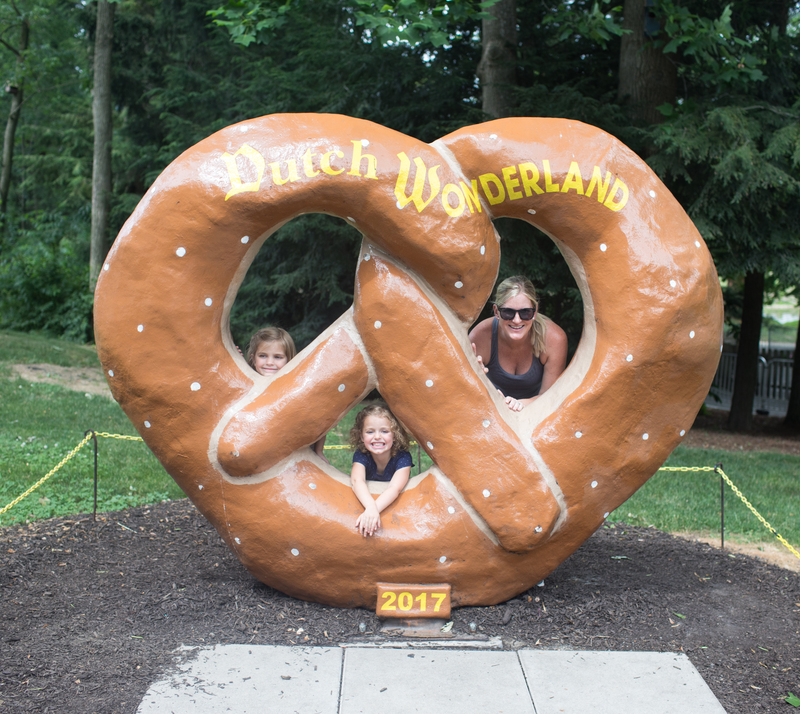 One thing we are really excited about is a trip to Dutch Wonderland in Lancaster, PA – just a 2 hour drive from the D.C. area. We haven’t been before but I’ve heard so many great things from friends. After our visit, I’ll be sure to share our experience and tips with you all! Dutch Wonderland has offered all my readers $4 off per ticket with promocode: CapitolMommaSBlog17! Click here for a direct link to purchase the discounted tickets for $37.99 (Reg $41.99). Offer expires 10-8-2017. 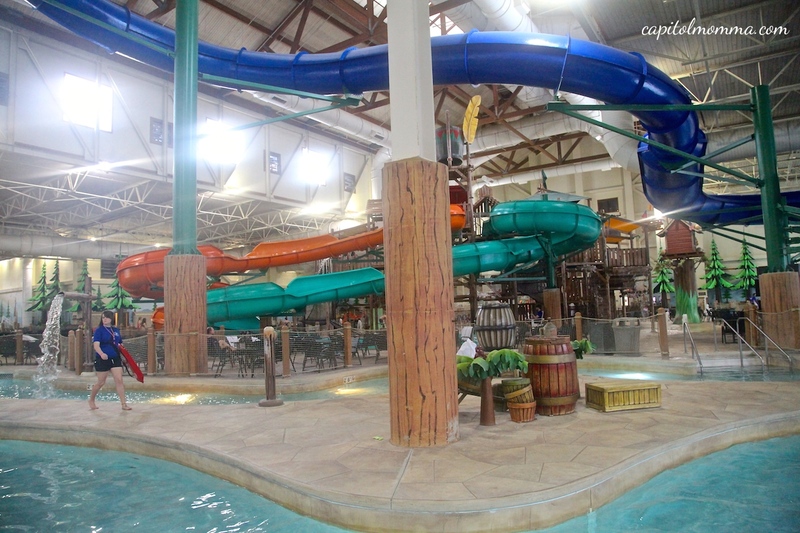 We just returned from a mini vacation at Great Wolf Lodge in Williamsburg, Virginia. 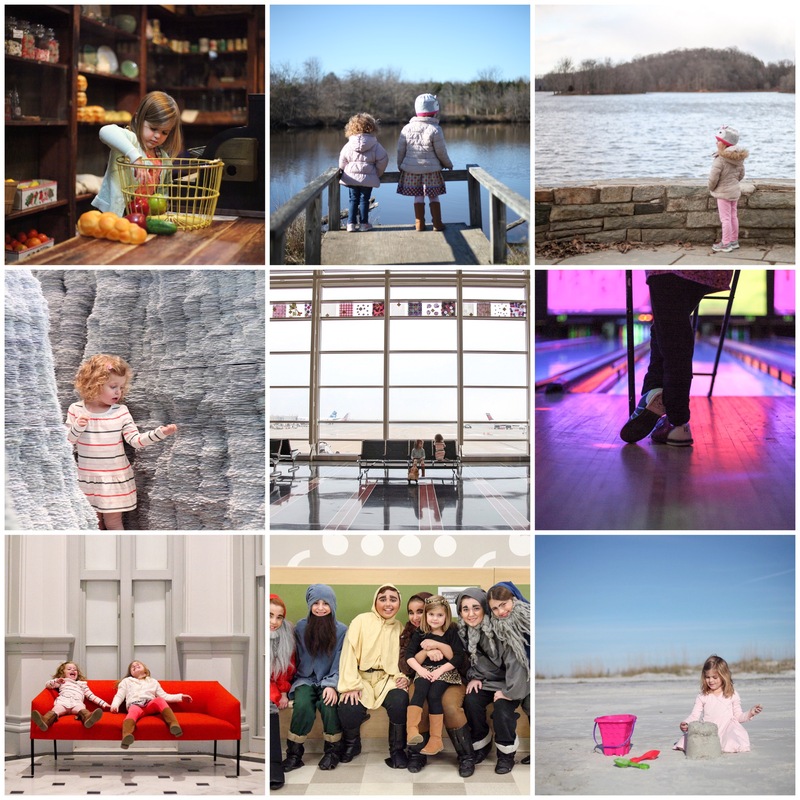 This year for Clara’s fourth birthday we decided to take a trip instead of having a big birthday party for her. Last year we did the big party with all her preschool buddies at My Gym, so we wanted to do something different this year. 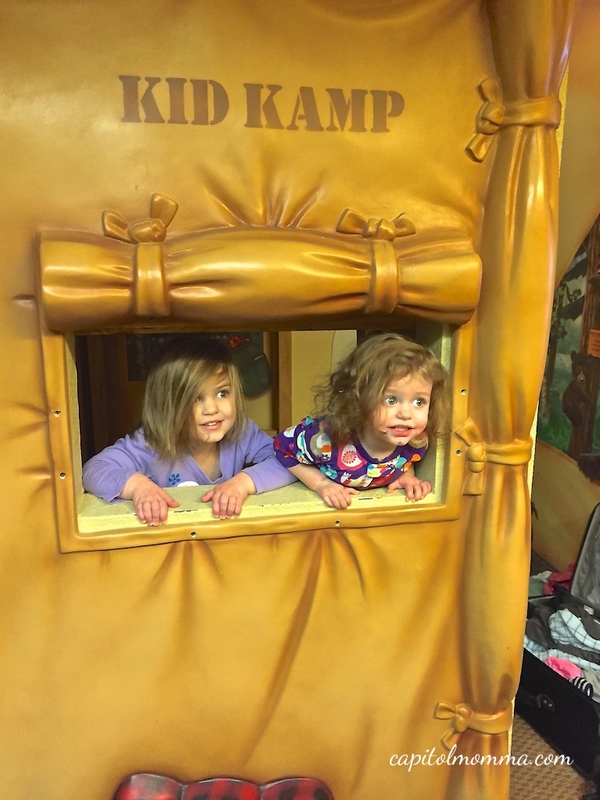 It was our first time at the resort and we (especially the girls) had a great time! After we checked in we hit up the water park. I was really impressed with the cleanliness of the water park and the attentiveness of the lifeguards. 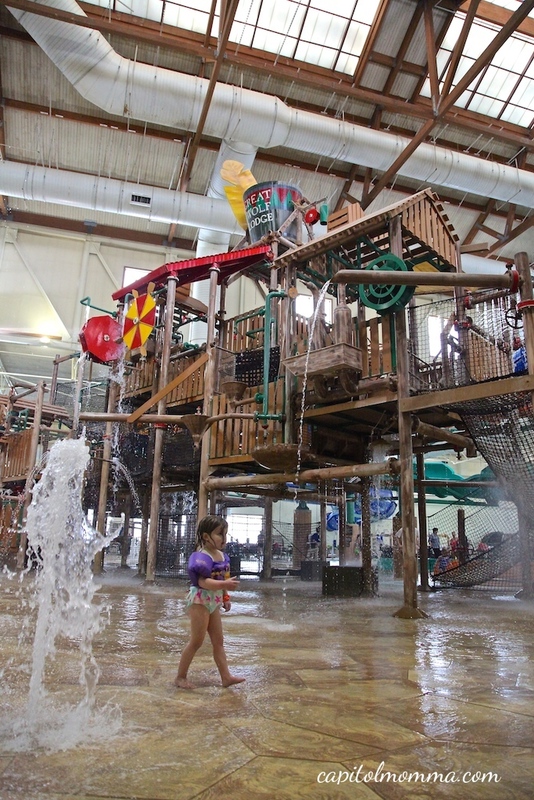 There are several different areas in the water park that accommodate all ages of kids. 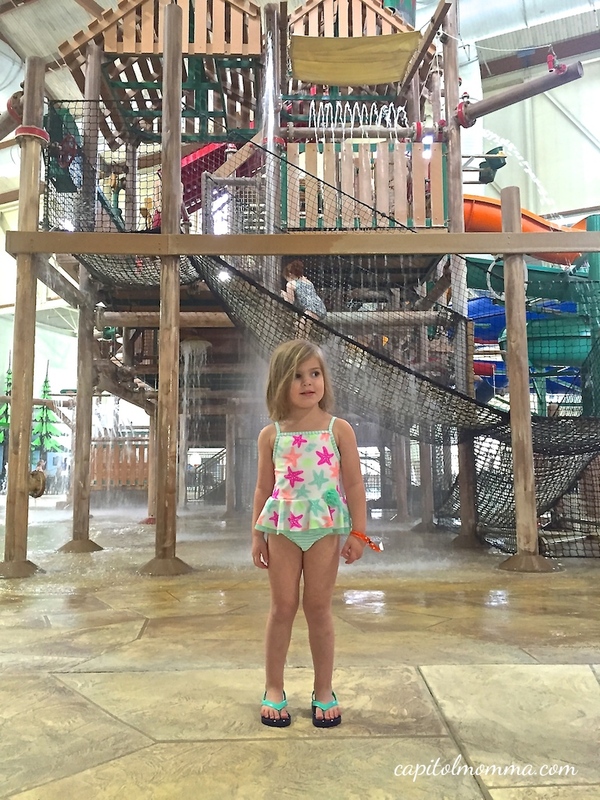 Clara’s favorite part of the water park were the big slides that you ride down on an inner tube. After our first round at the water park, we grabbed dinner at the Loose Moose Bar & Grill, which was actually a not so great buffet. The food at the resort was my least favorite part. I would research some local dining spots nearby if we were to visit again. They do have a Dunkin’ Donuts inside the resort, which was nice to get much needed coffee for my husband and I in the morning. 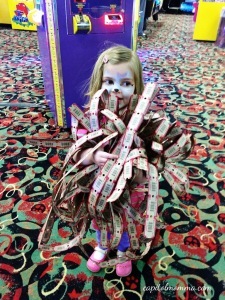 After dinner, Clara got her face painted as a wolf in the hotel lobby and then we headed to the Northern Lights Arcade. It was the birthday girl’s lucky night – she hit the jackpot! We took the girls to story time in the main lobby and then it was time to get them settled into the Kid Kamp for the night. The nice thing about the room is the little private kids area with bunk beds and their own TV. The next day we spent more time at the water park with lots and lots of rides down the water slides! We also checked out the Ten Paw Bowling alley. As a special treat for Clara’s birthday, we went to Scoops Spa for Momma-Daughter mani-pedis. 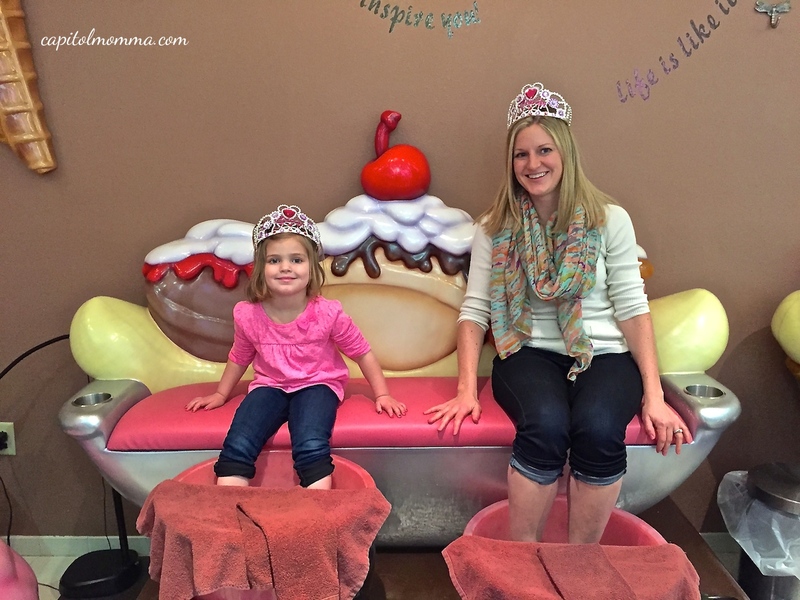 The spa has an ice cream theme and is super cute but a little pricey. 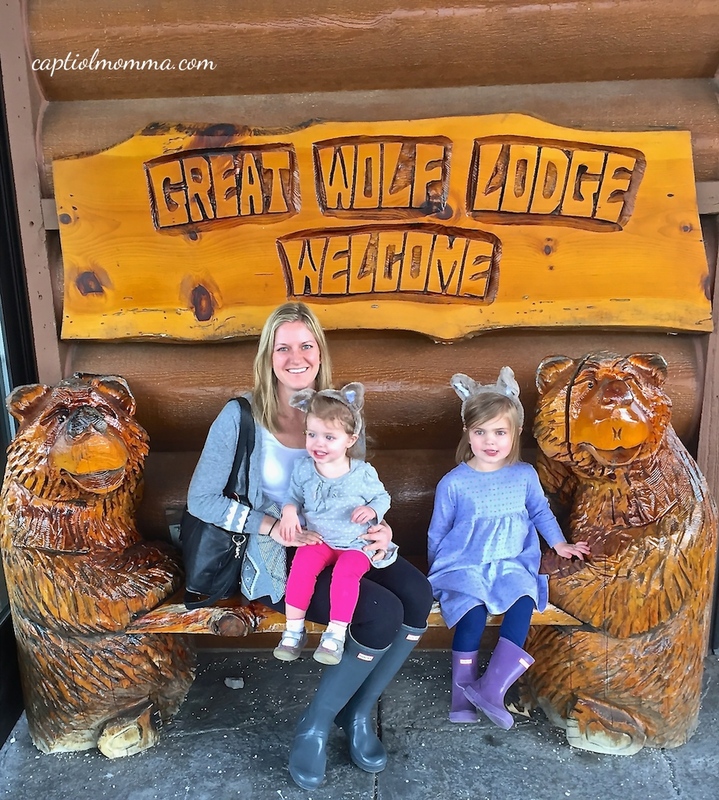 We enjoyed our first adventure at Great Wolf Lodge! Clara is already asking if we can go back! 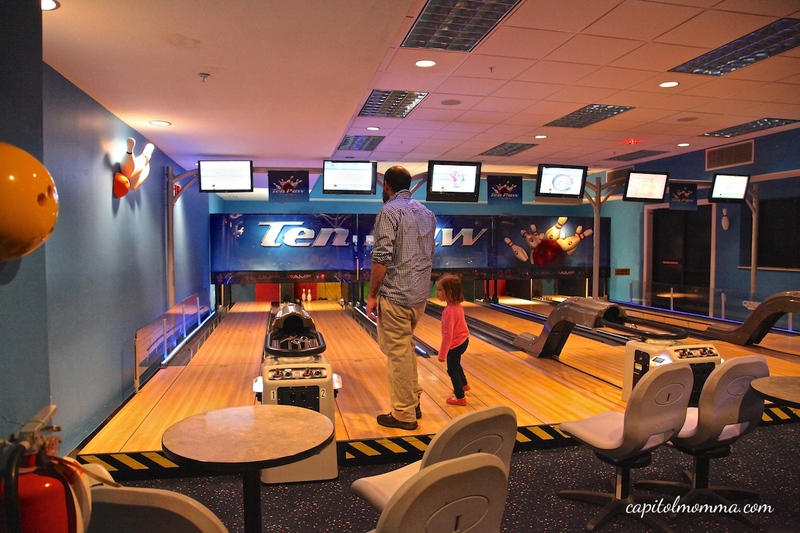 It is really a great kid focused resort with a lot of different fun activities. 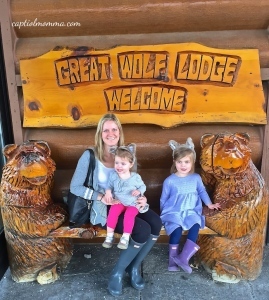 •Sign up to become a member (it’s free) on the Great Wolf website for the best rates on rooms. 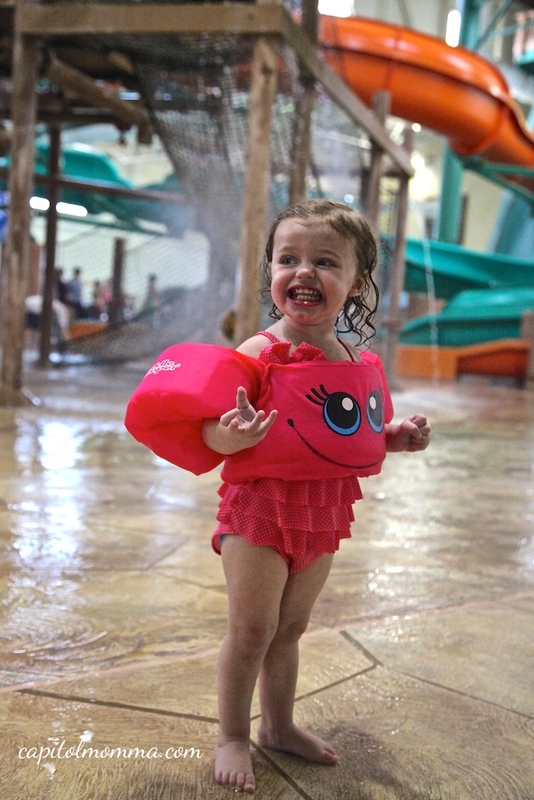 •The water park has puddle jumpers and life jackets available. •Beach towels are provided in the water park. •The Scoops Spa is by reservation only, so make sure to book a reservation ahead of time.